CHIANG RAI, Thailand (Reuters): Six of 12 schoolboys have been rescued so far from a flooded Thai cave after divers launched a daring and dangerous mission to free the children and their soccer coach, who were trapped underground for more than two weeks, Thai officials said. “I have received information that six have exited the cave”, a senior member of the rescue team told Reuters. Thirteen foreign divers and five members of Thailand’s elite navy SEAL unit are trying to bring the rest of the boys - some as young as 11 and weak swimmers – through narrow, submerged passageways that claimed the life of a former Thai navy diver on Friday. Their ordeal has drawn huge media attention in Thailand and abroad, and getting the boys out safely could be a boost for Thailand’s ruling junta ahead of a general election next year. 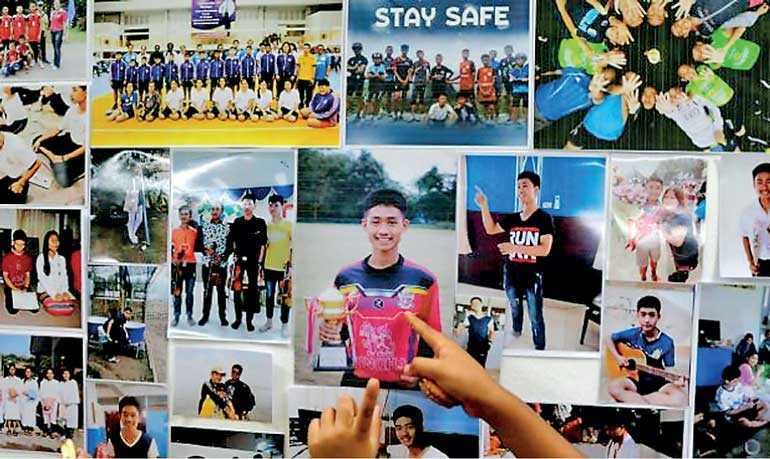 The boys, aged between 11 and 16, went missing with their 25-year-old coach after soccer practice on 23 June, setting out on an adventure to explore the cave complex near the border with Myanmar and celebrate a boy’s birthday.